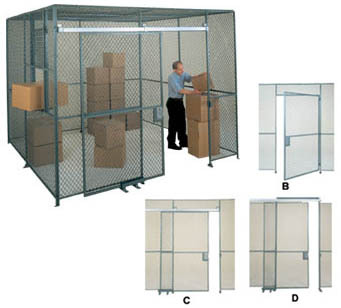 Construction features two layers of material reinforced with a 14 ga. galvanized wire mesh. 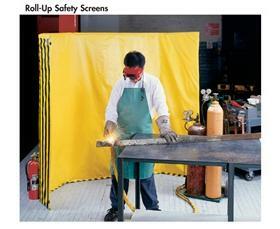 Roll-up screens have a built-in handle and tie strap. Flame resistant. FOB Shipping Point. <BR><BR><STRONG>Cotton Duck</STRONG>...Material is treated with a permanent, paraffin-based finish, which resists water and mildew. <BR><STRONG><BR>Safety-Striped Vinyl</STRONG>...Resists fire, water, mildew, oils, alkalis and most acids. Yellow and Black striped.